05. A Conversation with Red Robin on Best Practices for Restaurant Takeout and Catering Differentiation. 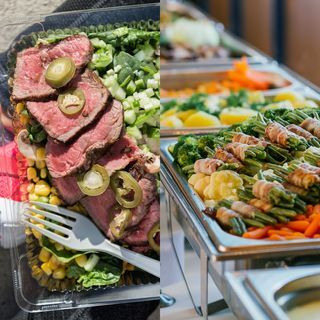 Takeout and catering are completely different businesses, and the secret to making them work successfully is in the design of different consumer solutions for each channel, including unique transaction workflow, menus and product selection, packaging, centralized services, and workflow — and each have entirely different strategies. In this episode of The Takeout, Delivery, and Catering Show we speak with Trudy Jones - Director of Alternative Platforms for Red Robin, to explore the different ... See More elements required for takeout and catering, and why each one is important for delivering a brand experience that keeps customers coming back for more.